These chain dangle earrings are the epitome of elegance. 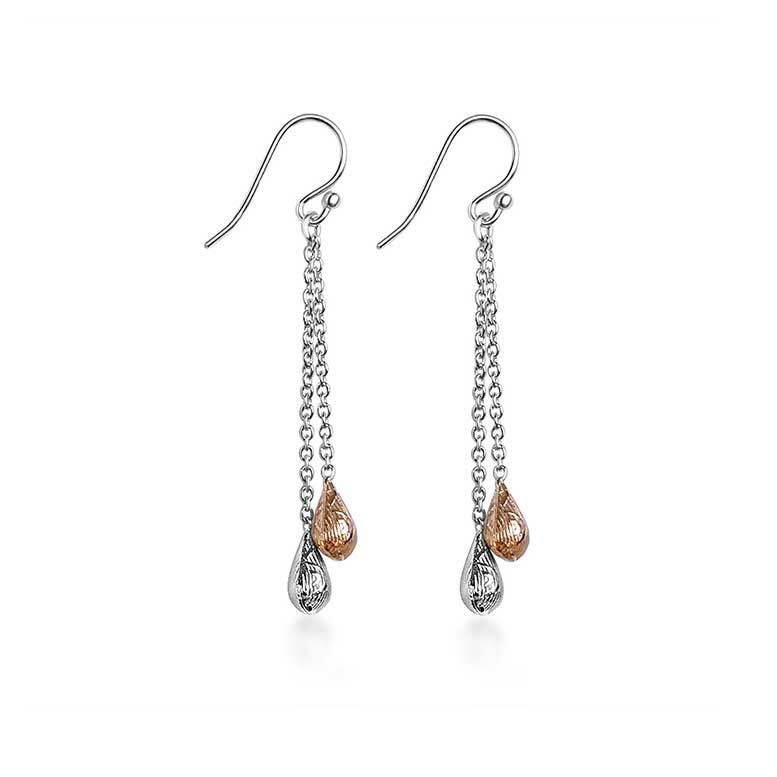 Delicate, patterned teardrops are suspended from thin Sterling silver chains; one teardrop is silver and the other is plated with rose gold, and both have a textured finish. Top tip: silver drop dangle earrings are hugely versatile, but these gold and silver teardrop chain earrings are best shown off with some fancy evening wear. They make an excellent alternative to chain dangle pull-through earrings, while remaining equally stylish.